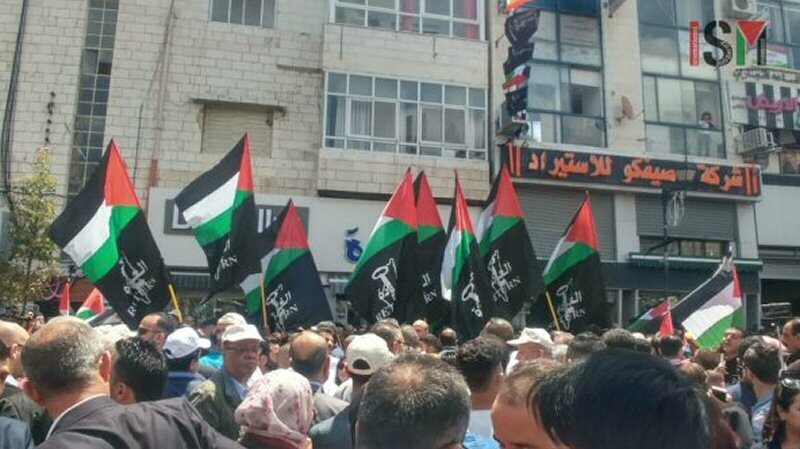 On Monday, the 14th of May, at 11am, thousands of Palestinians gathered in Arafat Square in Ramallah and proceeded to march to Qalandia checkpoint, to confront Israeli forces. The US embassy was officially moved to Jerusalem on this same day. 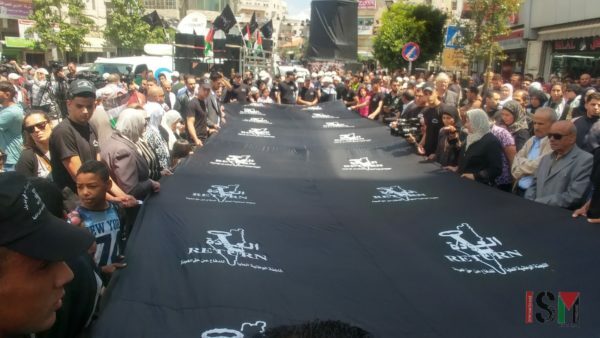 Palestinians held signs and placards to assert their right of return and in remembrance of Al Nakba (The Catastrophe). Palestinian children released black balloons with Palestinian flags attached into the skies when they reached Qalandia. Hundreds of Palestinians then proceeded to protest against the Israeli occupation. Palestinian press and medics were assaulted by Israeli forces before the march even made its way to Qalandia. Israeli forces used weapons of violence to suppress a peaceful march, attended by men, women and children. Many were injured by rubber coated steel bullets and foam batons fired by Israeli forces. The amount of tear gas used was shocking. 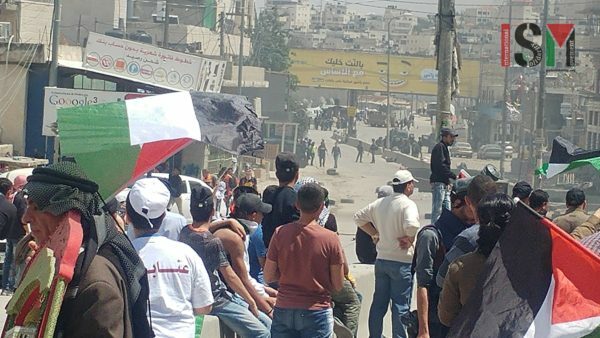 Live ammunition and stun grenades were also used against the demonstrators as Palestinian medics kept rushing with stretchers and returning to ambulances with those who were injured. Over 531 Palestinian villages were ethnically cleansed during the Nakba, as massacres took place. 800,000 Palestinians were forced out either internally displaced or forced out of their homeland. Palestinians will never forget and will not give up on the right of return.